A Dutch business owner is looking for people who want to live on Mars. He believes that with proper preparation, a human settlement can exist on the Red Planet. He said the settlement would provide valuable information for those who support and study life beyond Earth. The project is called Mars One and nearly 80,000 people–including 35 Canadians–have applied to start a new life on Mars. Those who are chosen to go would set up a colony, similar to a city. 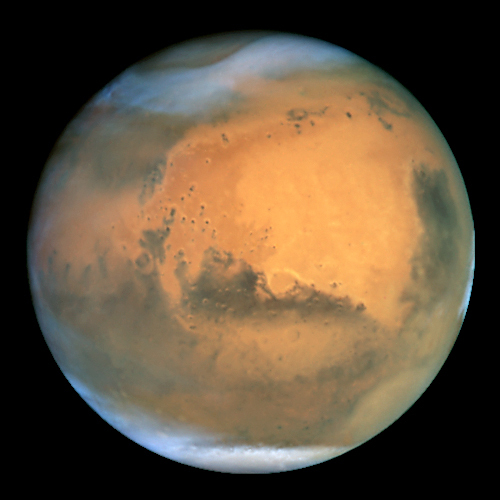 Supplies for the colony will be sent to Mars beginning in 2016. The first four settlers are scheduled to be transported to Mars in 2023. After two years, four more people would be sent to join them. People would continue to settle on Mars until the total became 20. By that time, Mars One says that the colony would be self-sufficient. That means they would be able to take care of themselves and continue to build the settlement on their own. So far, no human has ever visited Mars and critics say that Mars cannot support human life. But the people who run the Mars One project are confident that it can happen. And within two weeks, 80,000 others have said they feel the same way. Even Chris Hadfield, former commander of the International Space Station, who just returned to Earth after five months in space, has shown interest. He said he would be honoured to go to Mars. The project will be filmed for a reality television series to help pay the costs of the project. Why do you think so many people have already applied to be part of the first colony on Mars? What do you think they expect to find? What do you think they hope to experience? Would you or anyone you know be interested in this opportunity? Why or why not? What supplies would be necessary in order to set up the first colony on Mars? What would be the most important supplies and what would not be essential? Synonyms are different words that have a similar meaning. For example, a synonym for ‘joyful’ is ‘happy’. Read the article and identify any words that would be difficult for a primary student to read or understand then think of synonyms to replace these challenging words.